DropOff | Hpp Europe - Puhtautta ja suojaa elämän tarpeisiin. 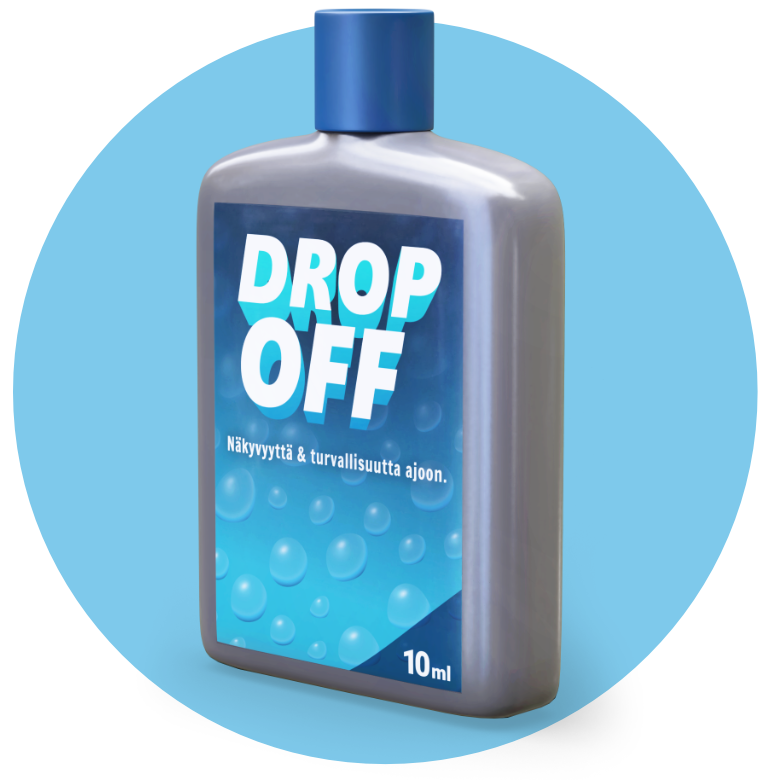 DropOff is a rain-resistant liquid for windscreen that improves driving visibility and decreases the need of using wipers. The product is poured directly into the windshield washer fluid tank, from which it is easy to add to the windscreen with the washer fluid. 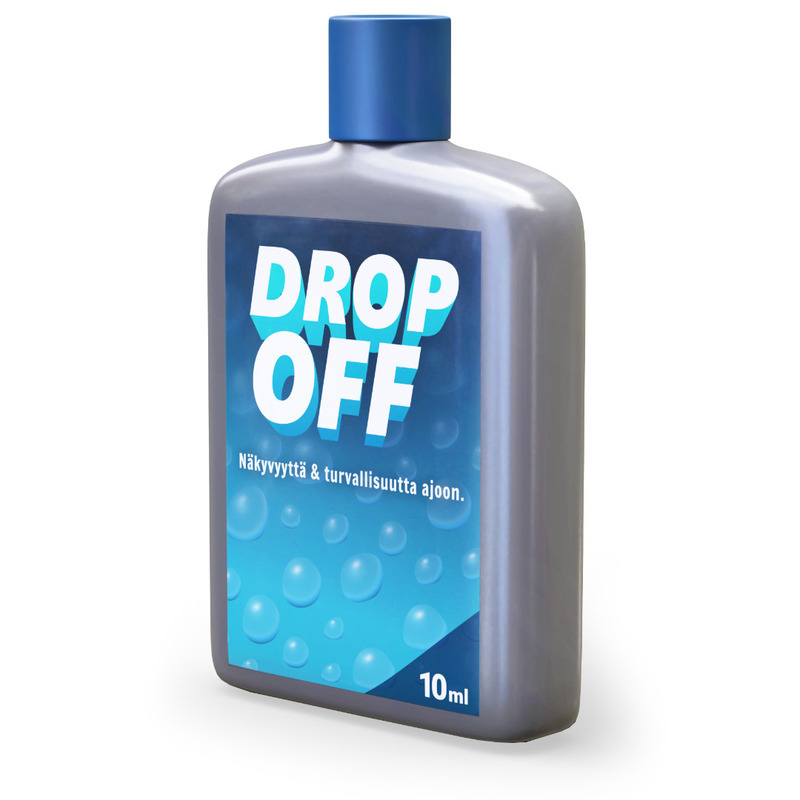 DropOff is ready to use and can be mixed with any commercial windshield washer fluid. One bottle contains 12 ml of liquid mixed with four litres of windscreen washer fluid.